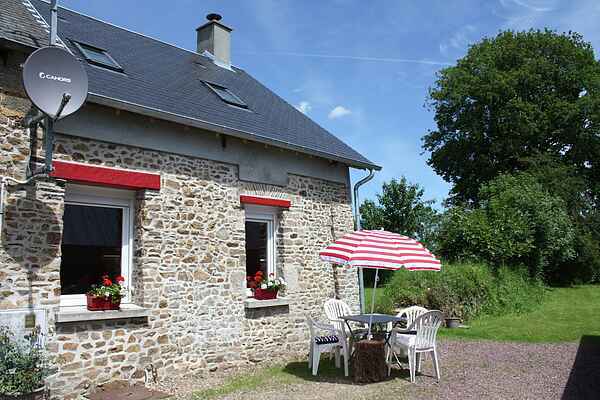 Discover this adorable detached holiday home à la campagne in the little village of Millières. The house was fully renovated in 2014. The south-east-facing garden with sun loungers and garden furniture is a lovely place to relax. The house is connected to an unoccupied part of the building, so you'll have plenty of privacy. The modern and cosy interior will make you feel right at home. The house is fully equipped to guarantee a pleasant stay. Two bicycles are provided in the shed. Lover of sun, sea, and beach? The beautiful sandy beach of Pirou is at 12.5 km away. While you're in Pirou, pay a visit to the city's 17th-century castle. The historic city of Coutances (20 km) is also worth seeing. The beautiful Cathedral of Notre-Dame can be seen from afar. Only 30 minutes away is Sainte-Mère-Église (36 km), well-known because of American paratrooper John Steele, who is commemorated with a monument on the church spire. About 10 km further is Utah Beach, the famous beach where the allied forces came ashore on D-Day.